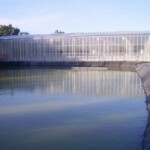 Whether you require an agricultural liner for a slurry pit or for an irrigation lagoon, with over 60 years of experience in supplying commercial pond liner, we’re sure to be able to help you find the right solution for the job. 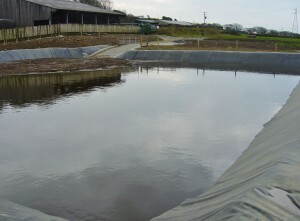 All our liners used in agricultural applications are designed to ensure they meet stringent regulations set out by various regulatory bodies such as the environment agency, whilst also ensuring the resulting lagoon meets your functional requirements. Our range includes reservoir liners to silage protection sheets, for more information or to discuss your requirements with a member of our team, please contact us or browse online at our range of agricultural liners. Here at Stephens Industries, we are specialists within liner materials for agricultural use. Holding an easy solution to silage clamp protection at a reduced cost, our Genatex 1000 Protection Sheets and gravel bags help contain the silage throughout the year. For more information or to discuss your requirements, please take a look here or contact our team for further assistance.